Discussion in 'iPhone and iPad Games' started by diffusion8r, Aug 3, 2016. 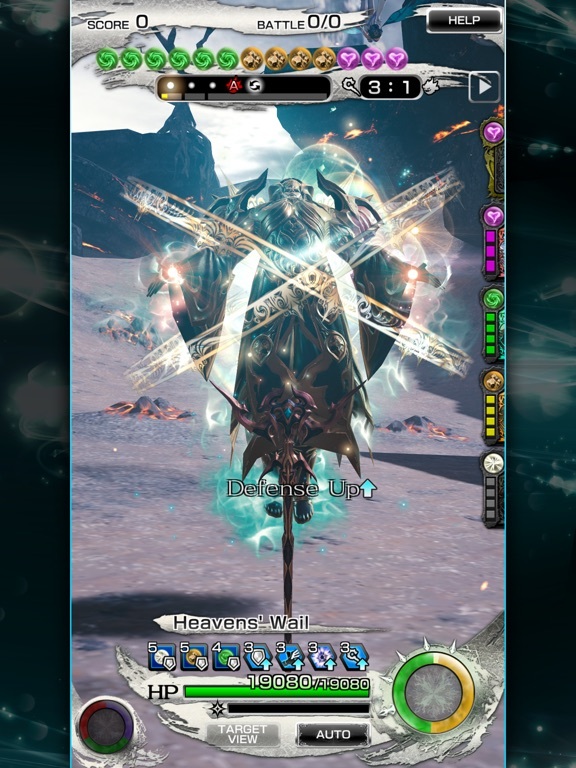 With substantial changes to the UI and battle system, we present you the all new arc, MOBIUS FINAL FANTASY: Warrior of Despair!! ■ A deep story and stunning visuals. 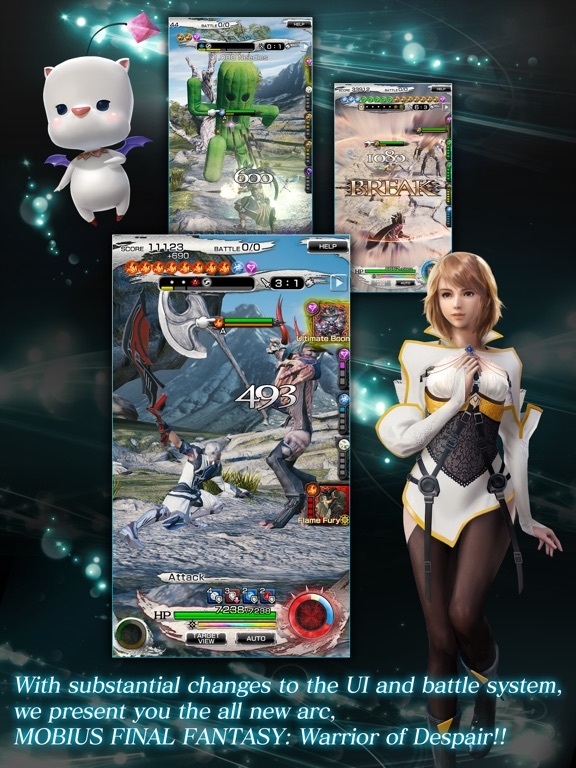 Experience an exciting story penned by Kazushige Nojima of FINAL FANTASY VII and FINAL FANTASY X fame, visualized with 3-D graphics never before seen in an RPG for mobile phones! Each chapter release will be accompanied by grand in-game events adding new playable content and exciting customization items for your character! 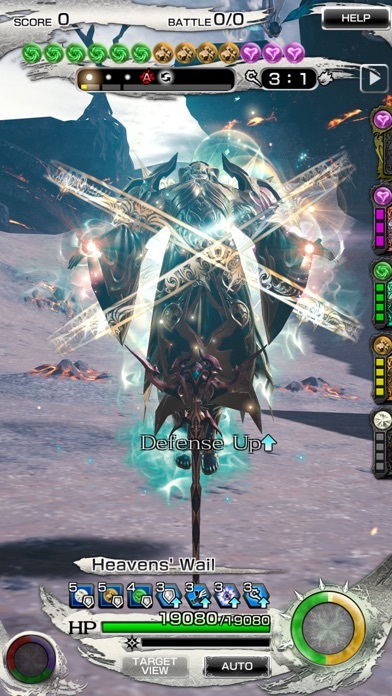 ■ A new and refined RPG turn-based battle. Experience a new battle system specifically designed for mobile devices, creating highly tactical battles where each action flows into the next, chaining attacks and abilities in a rhythmic flow that brings destruction to your foes! ■ FINAL FANTASY's vaunted "Job System" returns. Delve into a deep character customization system allowing for a near limitless number of combinations between job classes and specialized elemental abilities. Choose your job, build your "deck," and destroy your enemies! ■Special Region: Limited-time Extravagant Events! This special region may at times intersect with other worlds or at times hold limited-time events. You can see precious side stories and obtain exclusive items here, so don’t miss out! -------------------------------------- ■Warrior of Despair Story "The Warrior of Light shall vanquish Chaos, leading the world to Salvation." Thus it was foretold in the prophecy...yet, that which came to pass was not what was foretold. The Chaos which drove mankind to despair was destroyed, but the hero who game them hope vanished. Yes- by your hand. It was you who ended the tale of "The Warrior of Light." And so, the brave figure of "The Warrior of Light" - of YOU - has been forgotten by the world. Their memory lost, the people whisper. There exists the one who transformed this once beautiful, hope-filled world. "The Warrior of Despair" known to none. In an age now bereft of tales to be told, the world hungers...for a new legend. -------------------------------------- ■ Recommended Devices iPhone 5 or later, 3rd Generation iPad or later, iPad mini 2 or later, 6th Generation iPod touch or later. ■ Operating System iOS 8.0 or later (Compatible with Metal API for iOS 8.0 and above) * We cannot guarantee proper performance on devices other than those listed above. Please confirm that your device model is listed before downloading this app. 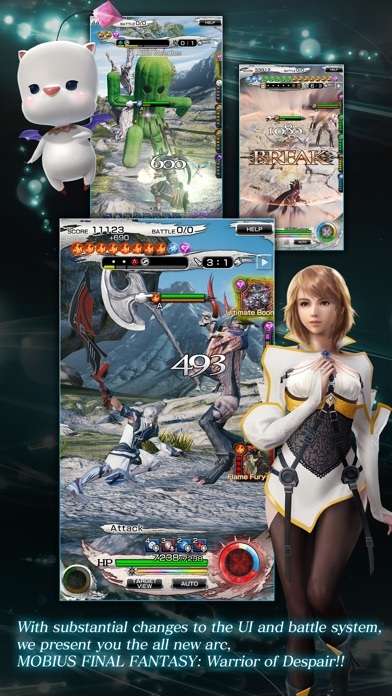 Mobius Final Fantasy hits the US AppStore! 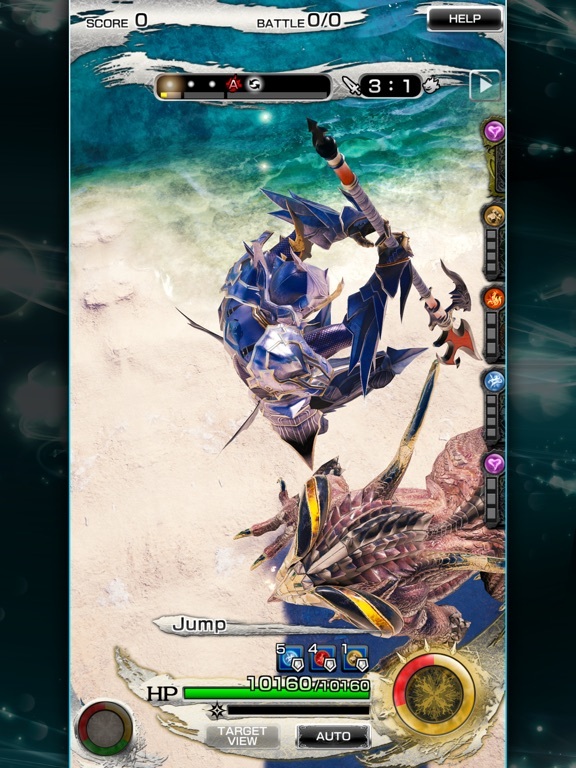 Final Fantasy fans, get ready for a pretty cool new Final Fantasy experience with Mobius Final Fantasy! Although the game is FREEMIUM and online-only, it is certainly worth playing! I'm not sure whether SQUARE ENIX is using Crystal Tools, Luminous Engine, or some other in-house engine for the graphics, but they are gorgeous nonetheless on both iPhone and iPad! As for the dealing with the FREEMIUM model mechanics, there is essentially ONE type of premium currency. This currency can be earned through daily logins, special events, battle loot, treasure chests, daily missions, etc., so don't feel forced to make a purchase. You can become very powerful without spending any real money. 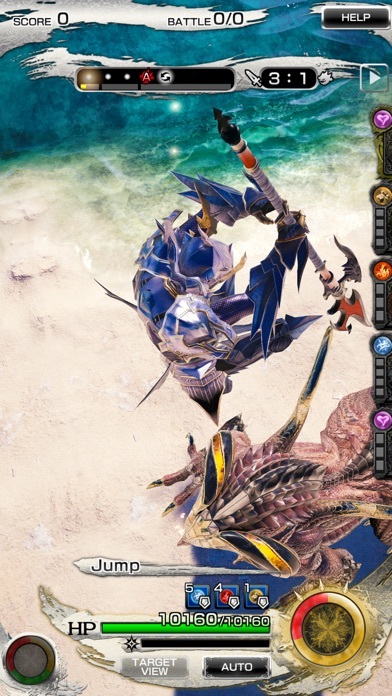 Gameplay-wise, there are cards involved...you level them up and equip Wol (the Warrior of Light) [Main Character] with them, then you may go to battle and fight. Physical (normal) attacks and Special (using cards/special moves) attacks can be performed during battle. There IS an amount of strategy involved, so don't even think about Auto-Playing everything...there were some battles that I won just by the skin of my teeth thanks to using the right strategies and good timing. Overall, it's a fun experience! P.S. - Be sure to have well over 2 GB of space available on your device. Could anyone please confirm how F2P is the game? Like senkoujin said? Would it be too much to hope for permanent premium boosters, not just consumables? Holy mother of god it looks downright amazing cant wait to try this out tonight ! Please tell me you can customize and get rid of that hairstyle and face. I am absolutely sick and tired of these femboys in their titles. Played around 30 minutes and feels awesome. Loaded up on my note 5 seamlessly, anyone else having issues on iPad mini 2? 80 MB? Another streaming game? do you call it a Game? I'm out. Wow. So, we could pay almost $20 for a month's worth of extra in-game currency in this online only game... OR we could take that money and enjoy Final Fantasy VII or IX without any IAP. Granted, for us who already own all of the Final Fantasy games, a new title is exciting. But it's not anywhere near $240/year exciting. It looks like you can earn the in game currency to pay for the subscription, no idea how much we can earn and yeah, at cash only price it's expensive. OMG Sounds getting worse and worse, I really hate iAP/sub games on iOS, they just want to eat your money if you own a real console you could buy real games with the same prices....OK still looking for rare and great premium games on iOS. This subscription thing is something we're seeing in a lot of free to play games. It's meant to drive engagement because you're pre-paying for a daily bonus and (typically) getting a significant discount over buying those same IAP items/currencies every day. It's not a terrible deal, provided you're invested in the game you're playing. Hell, I bought an annual boost for Heroes of the Storm which seemed pretty stupid at the time but it's already "paid" for itself as I've been playing. There's a bar that fills over time to 1k looks like every 16hrs or so and you get 1k when you finish the tutorial. It's 3k for the monthly subscription so it looks like you wait 3 days or less and get it for free. Tend to agree with Eli, if you are investing time in a game, its actually worthwhile doing these subscriptions/loyalty reward schemes. You've just to work out whether or not you're in it for the long haul or not.....hence the freemium model.